Thanks to everyone who joined us for Space Academy holiday kid’s club – it was great fun! 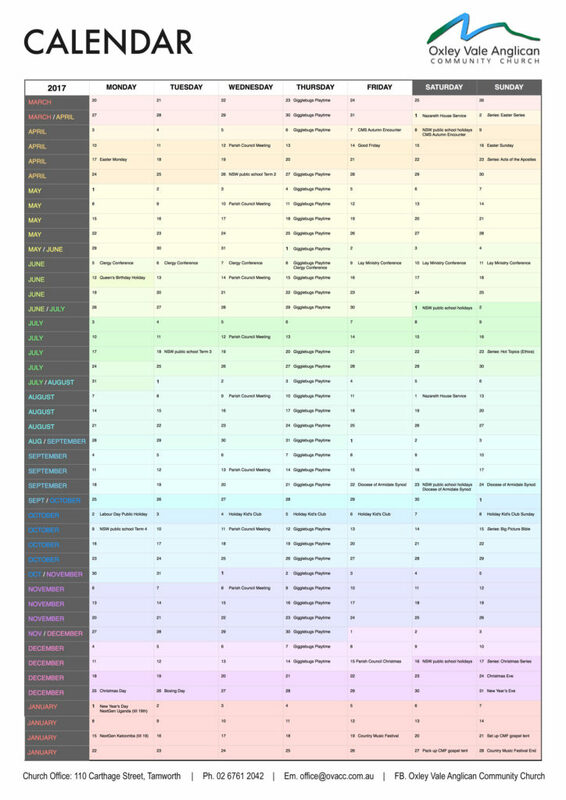 Click the image or click here to load a larger version for printing / downloading. 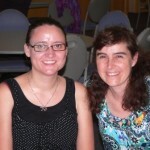 Celebrating 25 Years of Ministry in Oxley Vale! 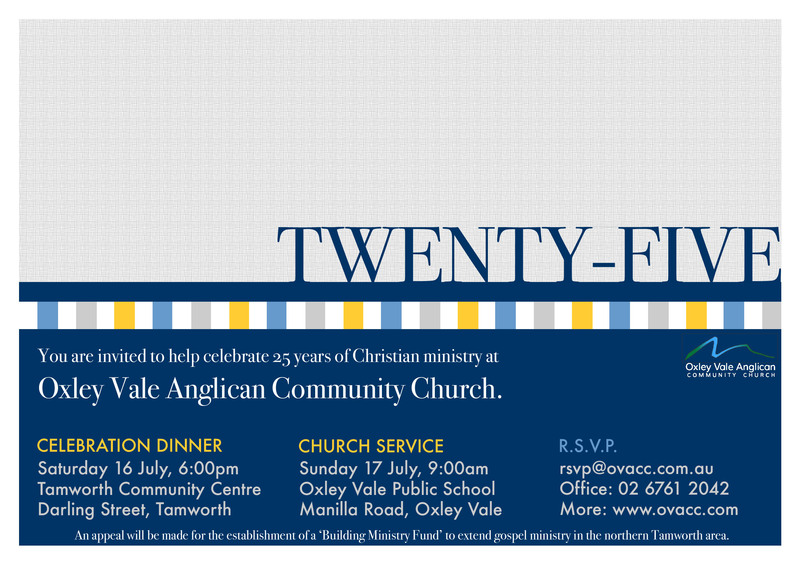 All past and current members and supporters of Oxley Vale Anglican Community Church are invited to join us in celebrating 25 years of Christian ministry in the Oxley Vale area at two special events – a celebration dinner on Saturday 16 July and a combined thanksgiving church service on Sunday 17 July. To mark the occasion, we are launching the ‘Building Ministry Fund,’ aimed at securing and expanding gospel ministry in the area into the future. Would you please consider contributing a one-off gift to this appeal? 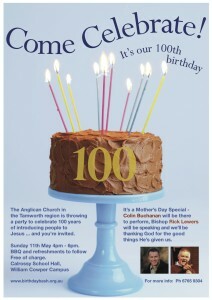 Donations can be made at both events or directly via ‘Oxley Vale Anglican Community Church’, BSB 032621 Acct: 309306. 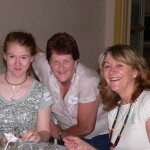 At OVACC we have a family on exchange from Canada. 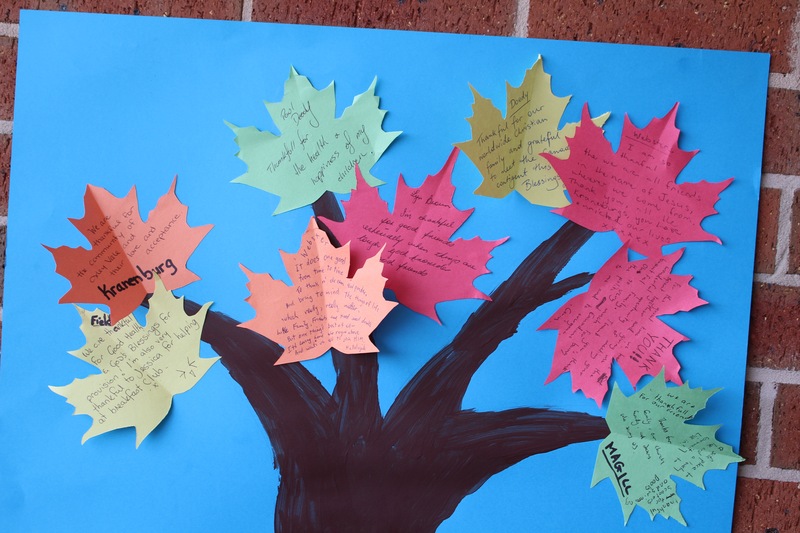 They were sad that they would miss thanksgiving in Canada, so as a church family we have joined them in a great day giving thanks to God for many things, including the family from all over the world united by Christ. 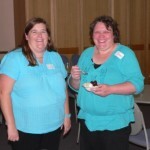 OVACC is a church with members from many cultures. It was a great day that we could spend together. On Saturday the 28th February join us for our Parish Dinner. 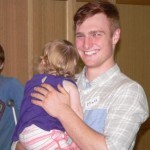 Hear from +Rick Lewers on Evangelism, pray together and encourage one another. Please RSVP to Simon or Yvonne or via email on the contact page. Once again Oxley Vale Anglican Community Church will be in the park singing Christmas Carols in December! Saturday 13 December, Fraser Park (Kirkham Crescent), from 6pm. 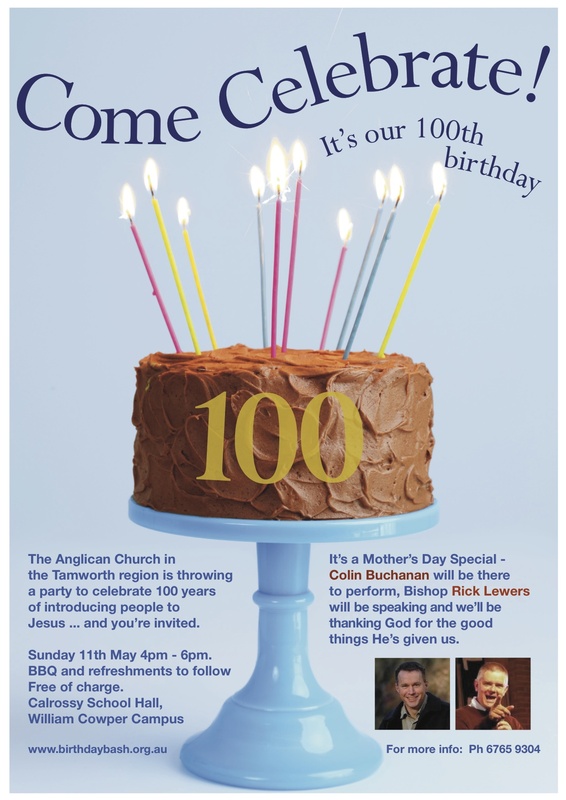 Our Diocese is celebrating its Centenary this year with many events across the region. 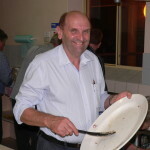 The Tamworth region has invited Colin Buchanan to join with us in thanking God for what he has been doing in the Diocese of Armidale over the last 100 Years and praying for the future. Please come along, its all free! 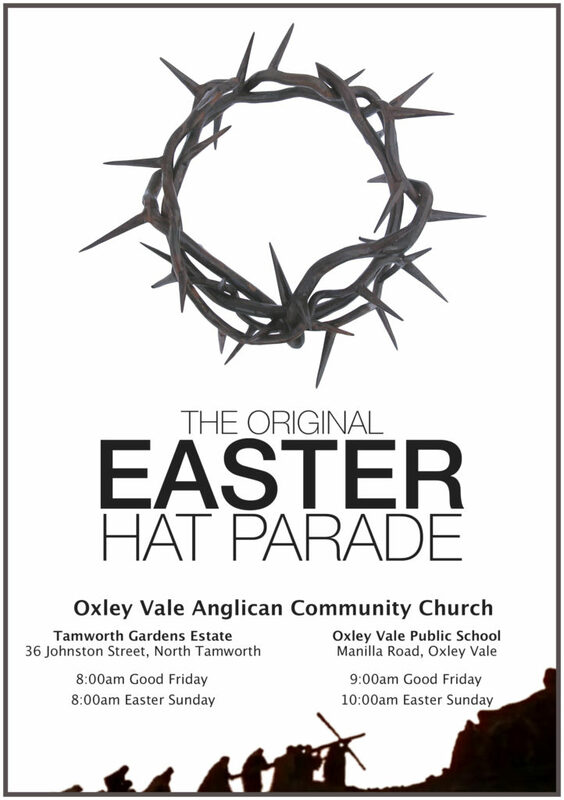 Our Easter services this year will be held in the Oxley Vale School Hall at 9:30 am Good Friday and Easter Sunday Services at 8 and 10am 20th April. Our church has a casual vibrant feel with people who are serious about being genuine Christians. During the service you would expect to have a time of reading the bible and hearing it taught, singing songs about our great God, and praying for our world, our nation and ourselves. All easter services include Holy Communion. The 2014 Church Calendar of events, training, preaching and the like, has been published to the website as a Google Calendar. You can find it here. A pretty paper version of this Calendar, for your fridge or office wall, will be available from Sunday 16th February. 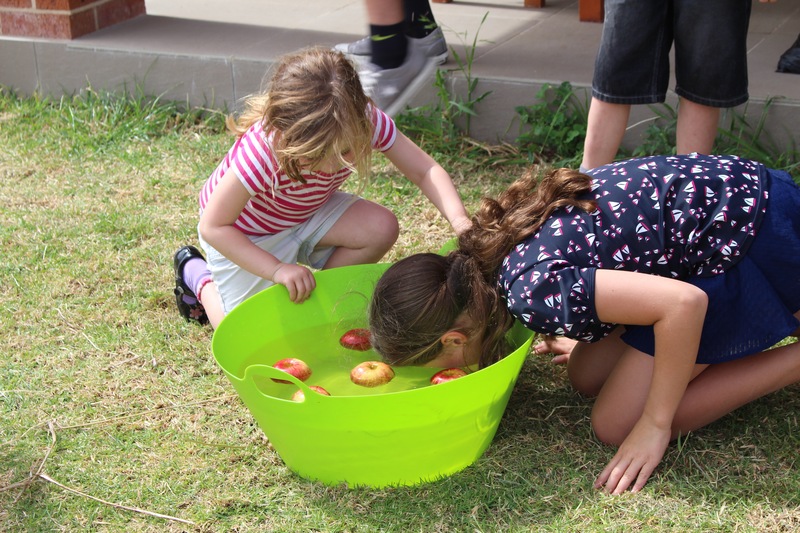 Kid’s Holiday Club – Registrations open! 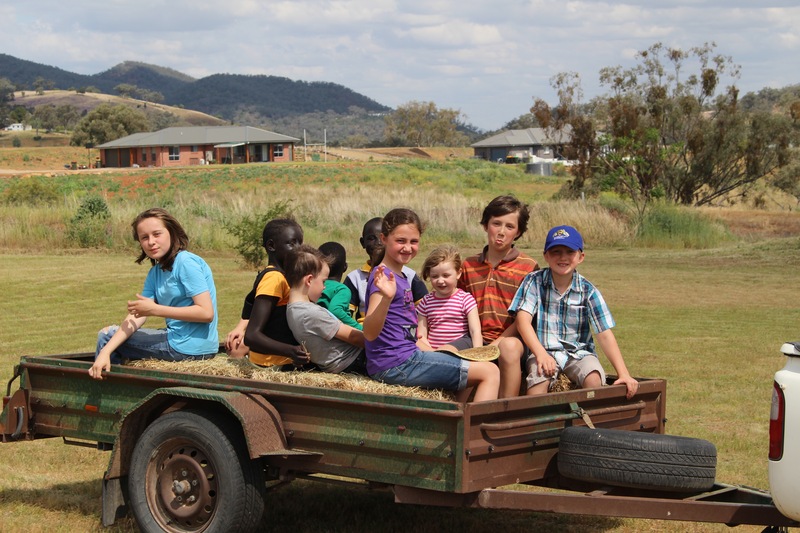 Oxley Vale Anglican Community Church’s annual Kid’s Holiday Club is on again this October! Registrations are now open for ‘Knights of the King’ – a 3 day program on 1-3 October, including a Thursday night performance for parents, grandparents and carers. 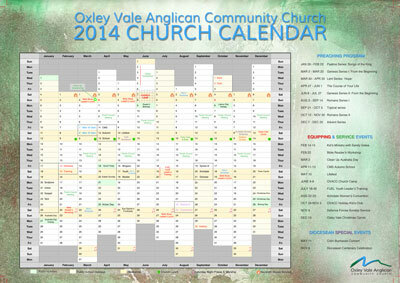 Brochures are available from Oxley Vale Public School or by contacting the church office. The price is excellent and fun is guaranteed! LIFE FEST this Saturday 25 May! 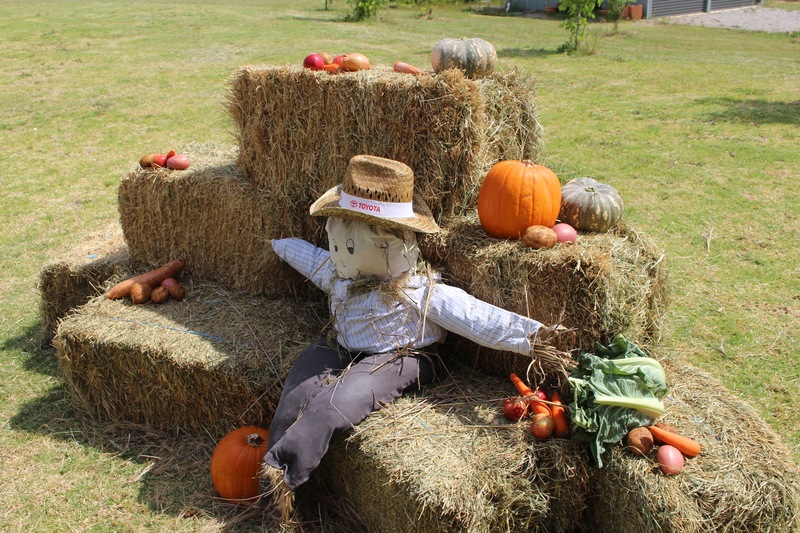 Book the day for LifeFest in Bicentennial Park. 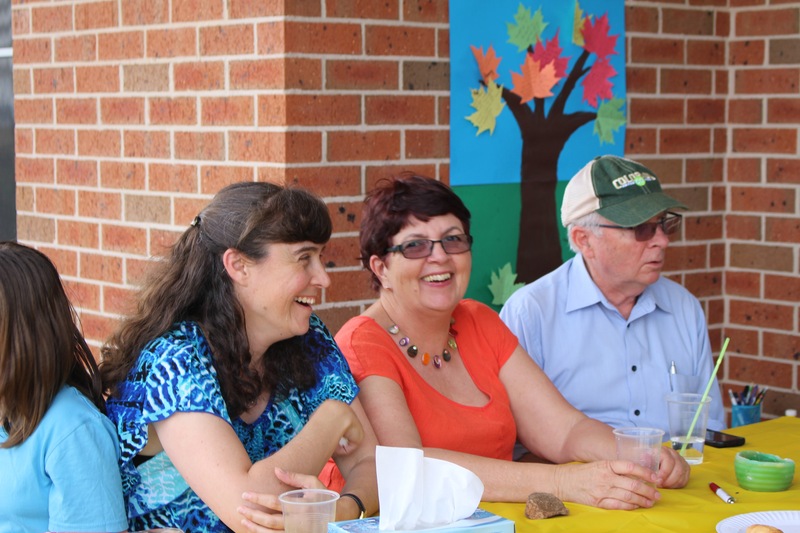 That beautiful day when the churches of Tamworth get together and put on a party for their neighbours – and they come in thousands. A day for Christians to model the love of Jesus in many ways, and people go away different because they’ve had a brush with Him through the kindness of His people. 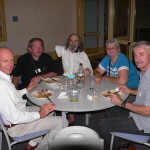 The people of Oxley Vale Anglican Community Church enjoyed a great evening together last Friday, eating together and thinking about the good things happening in the church and hearing plans for how those good things might be shared with their community. 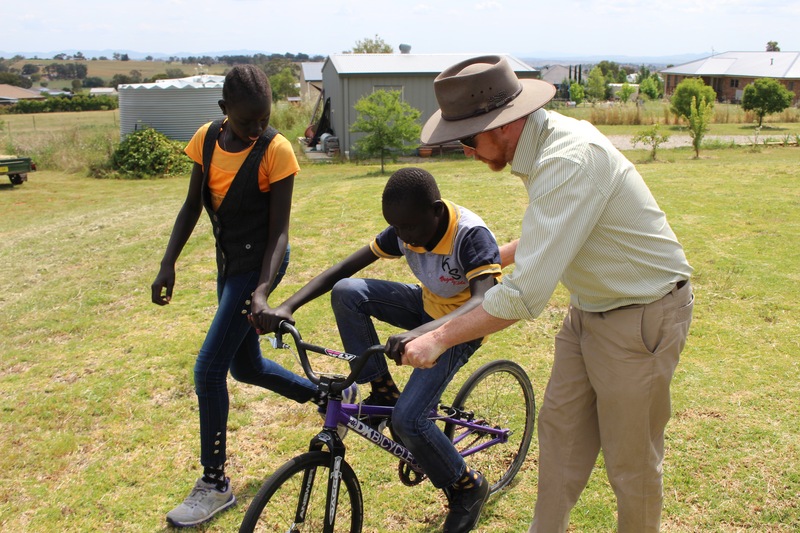 The Vicar, Simon Carter, encouraged those present to think about change, whether good or bad, and contrasted the inevitability of change in the world we live in with the unchangeableness of Jesus. 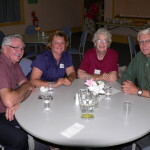 Chaplain Tom Magill presented some demographic research on the Oxley Vale area and encouraged the church to think how best it can serve the people in that area. Year 13 Gap Year Student Matt Smith gave an outline of his involvement in this year with young people, conferences and training. 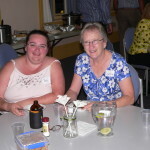 A big ‘Thank You’ to all who helped set-up, cook, clean or otherwise contribute on the night! 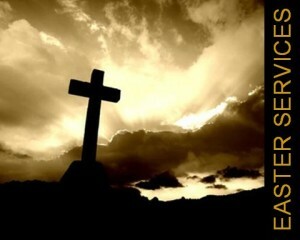 Easter is a very special time in the year for Christian people. Each Easter we remember the death of Jesus but also his resurrection to life again. It is not only a solemn time of remembrance but also a joyous celebration! Come hear about why Good Friday is so Good and about the even better news of Resurrection Sunday – plus there are hot cross buns and Easter eggs! All welcome. 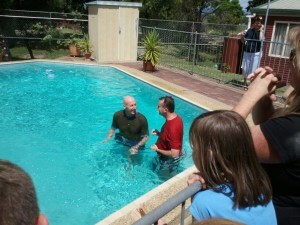 Swim coach dunked by Vicar! 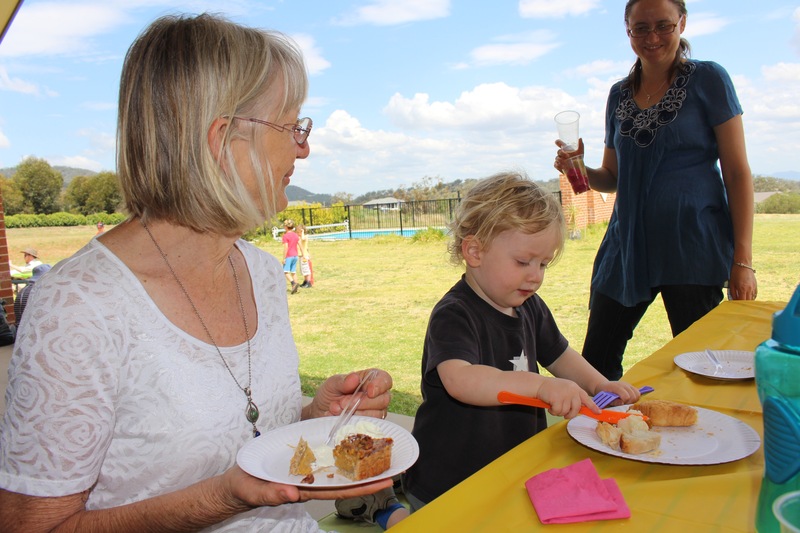 On March 10, about 75 people from OVACC witnessed a French national, living in Australia, publicly declare that he wanted to be part of that gathering. 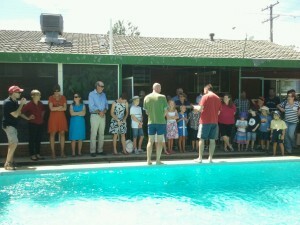 Nicholas, a local swimming instructor, was baptised (!) by Vicar Simon Carter, the culmination of a ten year journey for Nicholas and the beginning of an exciting journey of walking with God. Nicholas shared in church that since making the decision to follow Jesus, his priorities have changed and peace and joy abound in his life. Inquiries about baptism can be directed to the church office via the contact page. 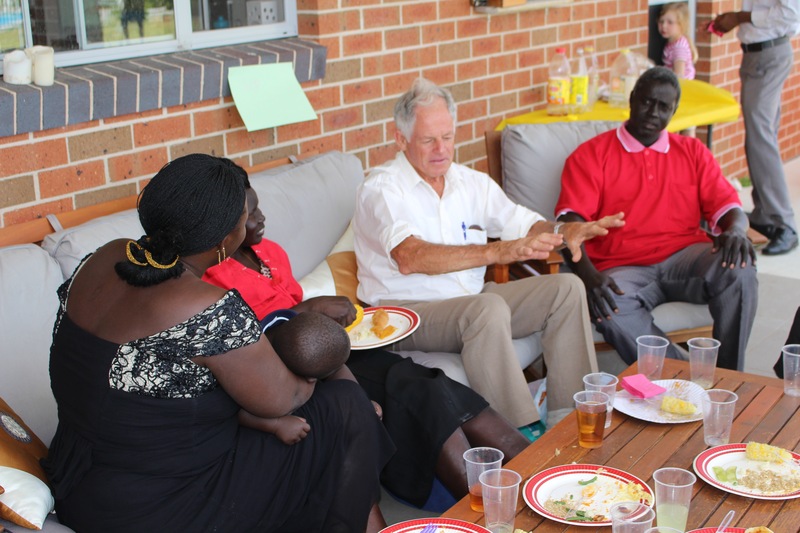 Former Principal of Sydney Missionary and Bible College, David Cook, delivered four challenging Bible talks on thinking clearly about God, yourself, the world and reality. And, in the afternoon, Ran Mitchell, a farmer at North Star since 1954, spoke about his lifetime of following Jesus and what that has meant for his life. 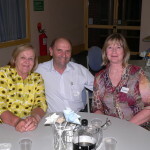 The blokes who attended brought home very positive reports of this year’s Men@Glen conference. 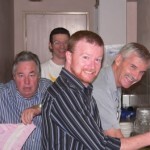 Talks from previous conferences are available on the Men@Glen website: here. Sunday 3rd March was scheduled as Clean Up Australia Day, and the members of Oxley Vale Anglican pitched in to lend a hand, gathering bags of rubbish from around the premises of the school where we meet. The annual Tamworth Country Music Festival once again attracted huge crowds to Tamworth and the surrounding areas and the people of Oxley Vale Anglican were keen to be a part of the action and to welcome and serve those who came. Numerous OVACC people served tea and coffee to visitors to the Gospel Music Tent on Kable Street and our own Juanita Doody performed on stage a number of times. Register for Superhero Mania NOW! Inquiring about a baptism, a wedding or a funeral service? Click here to submit an inquiry about Oxley Vale Anglican Community Church conducting a baptism, wedding or funeral service for you. Fill in the form here to let us know how we can help.